Yes, you heard me right. 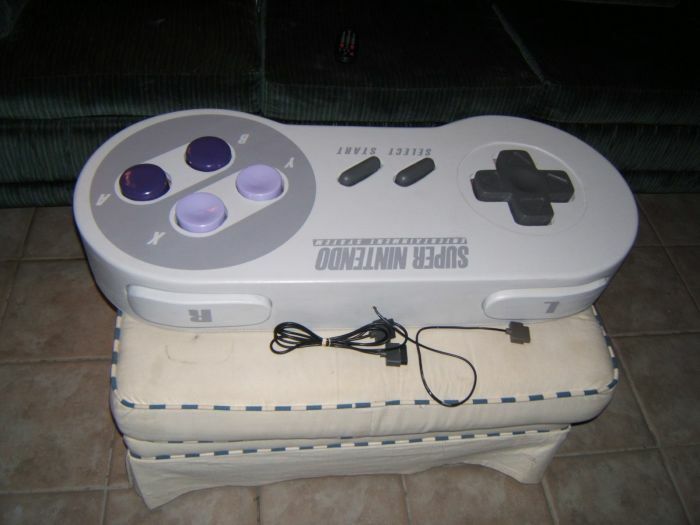 The guys at SCAD inc have created this amazing Super Nintendo controller that is about 4 feet long. 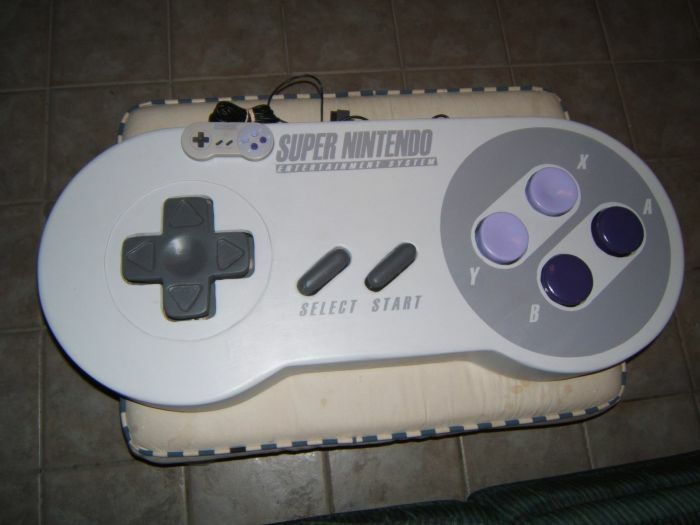 What’s even cooler is that it’s fully functional as a Super Nintendo controller! 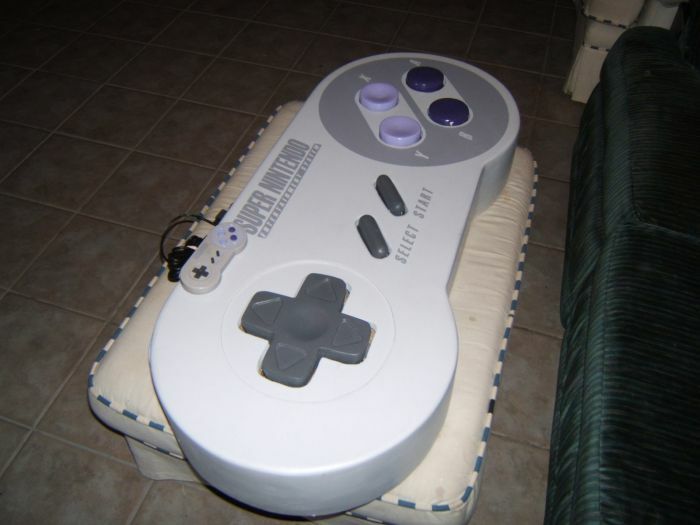 They may have been inspired by equally cool classic NES controller coffee table. Nevertheless, they are on my list of top modders. Check pictures of the build here, and for more completed pictures, head over here.